This week, the EOSCU Team had the honor of presenting at the Centers for Disease Control and Prevention (CDC) campus outside of Atlanta, GA. During our meeting with the Division of Healthcare Quality Promotion, we were able to share information about our product as well as data from our recent clinical study. This meeting was anything but one-sided, however - the experts at the CDC were able to identify directions and partnerships we should explore in the future. This visit prompted us to present this post about the CDC, and what it does for our nation and the world on a daily basis. Searching for an analogy for what the CDC does for us, we can find nothing that fits better than EOSCU itself. Consider EOSCU - working continuously, behind-the-scenes, to reduce harmful contamination, outbreaks, and preventable infections. In much the same way, the agencies and institutes of the CDC are working continuously, behind-the-scenes, to reduce harm from injury and disease and prevent avoidable health threats. 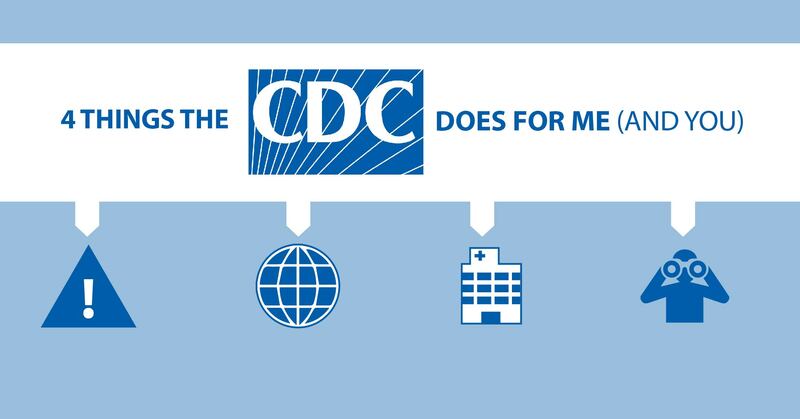 Today we will look closer at just how much the CDC does for you, for me, and the world. Why is the CDC in Atlanta? Atlanta was chosen as its location due to malaria being endemic (a persistent health problem) to states in the South. Through a program of spraying, removing mosquito breeding sites, and draining standing water, the CDC was able to eliminate malaria from the US in only three years. The CDC traces its roots to the just after WW2, when it replaced the Office of Malaria Control in War Areas program. By the 1960s their responsibilities expanded to include all communicable diseases, research, training, and immunization programs. By the 1980s, the CDC was responsible for researching and preventing chronic diseases, workplace and road injuries, terrorism preparedness, and emerging diseases, work it continues today. But what exactly does the CDC do for me, the American citizen? #1 The CDC identifies preventable health threats. Motor vehicle safety. Smoking. Teen pregnancy. Child nutrition. These are just a few of the threats to our health that the CDC identified, researched, and brought to our attention - resulting in significant change. As a result of their data, training programs, outreach to health partners and individual citizens, people have been helped and lives have been saved. #2 The CDC responds to global disease outbreaks. Why does the CDC get involved in outbreaks all across the globe? Why does it send rapid response teams to sites of Ebola, Zika, TB, and influenza outbreaks? The answer is twofold. First, the CDC, as a public health agency, has a humanitarian responsibility to help where help is needed. Second, and a more direct impact on the individual American citizen, the CDC protects our nation by helping prevent global outbreaks from reaching our shores. The CDC's field research gives them direct data about an outbreak, meaning we do not have to rely on a foreign government's release of information. One of the key tenets of epidemiology is preventing spread - controlling an outbreak before it becomes an epidemic. By having CDC professionals at the scene of an international outbreak means that we have, in effect, healthcare soldiers defending us from a medical threat. One recent example is the CDC's involvement in the containment of Ebola. Their work to study the disease, set safety guidelines, train international workers, and monitor our borders helped not only contain the outbreak, but also prevent it from reaching our population. #3 The CDC is making our hospitals safer. #4 The CDC warns us of threats we may not yet see. This one is sometimes a tough pill to swallow. The CDC's mission means they often have the responsibility to tell us that what we are doing may lead to problems down the line - and often we don't want to listen. We don't want to hear that school lunches may be contributing to childhood obesity. We don't want to hear believe that antibiotic resistance is reaching critical levels that threaten our ability to fight bacterial infection. These are stressful and seemingly insurmountable problems. But the CDC continues to spread the data, reach out to partners and individuals, and most importantly, does not back down. Remember, we did not want to hear that cars were dangerous without seat belts or that opioid prescriptions were getting out of control - but those are just two tough pills that we had to swallow in order to support a cure. The CDC carries a huge responsibility to be "America's health protection agency against key health threats." So much more than field agents in hazmat suits descending on the latest outbreak, the staff at the CDC are engaged at every level of health care and prevention - working in a laboratory, curating the library, writing blog posts, testifying before Congress, advising foreign leaders, and educating the public. We are grateful to have the CDC working to keep us healthy year round, 7 days a week, 24 hours a day.